When a financial advisor is at the center of a story of alleged conspiracy and cover-up at the highest levels of politics and media, the fallout can be severe. Within 10 days of getting hit with a lawsuit alleging he worked with the White House to produce a false (and eventually retracted) Fox News story about a murdered Democratic National Committee staff member, two of his biggest clients fled. The ex-clients — worried about Butowsky’s involvement with the notorious Seth Rich story — took with them at least $18 million formerly managed by Butowsky, a Dallas-area financial advisor who runs Chapwood Capital Investment Management and makes frequent appearances on cable news networks as a commentator. “‘We are just afraid that if the people suing you come after you, they are going to come after our money,’” Butowsky says one of the departing clients told him. Though one of these would-be runners has since decided to stay and not pull her $6 million, Butowsky remains on guard against further losses stemming from his notoriety. The suit against Butowsky was filed by Rod Wheeler, a private investigator who was quoted in the retracted Fox story. It alleges Butowsky — who calls himself “an internationally recognized expert in the wealth-management industry” — promulgated the false story that Rich was murdered in retaliation for leaking emails damaging to the Democratic National Committee. The suit further claims the story was put about to undermine the U.S. intelligence community’s conclusion that Russians hacked the DNC and obtained the emails ultimately released by Wikileaks during the last year’s U.S. election campaign. The Metropolitan Police Department of the District of Columbia says the July 2016 murder, though still unsolved, looks like an attempted mugging gone wrong, news reports say. Also according to news reports, Rich’s family agrees with the D.C. police and rejects conspiracy theories around the death, such as those allegedly promulgated by Butowsky. The suit also claims Butowsky, a financial contributor to the Republican Party and an outspoken proponent of the current U.S. president, provided a link between Trump and the Fox News reporter, Malia Zimmerman, working on the later-retracted article. Butowsky, who insists this text was meant as a joke, vigorously denies the lawsuit’s allegations. And he says he has never met Trump. But with some of his wealth-management clients upset about his role in the high-profile case, Butowsky has taken steps to calm them. Chiefly, he has sent most of his clients a video telling them his side of the controversy. In the video — which the FA allowed FA-IQ to view but declines to share for posting here — Butowsky repeats his contention that Wheeler’s claims are false. He emphasizes he plans to conduct business usual, that his clients can continue to trust him, and that he is ready to answer any and all of their questions. As an opinion contributor, Butowsky has worked for Fox Business, Fox News, Breitbart, and PBS’s Frontline news program. A 2008 D-Magazine article says Butowsky’s client roster is larded with celebrity names, and alludes to his having $3 billion under management. Butowsky worked at Morgan Stanley from 1987 to 2004, Bank of America in 2003, and Bear Stearns from 2003 to 2005. These days, he’s listed with the SEC and Finra as working at Chapwood, his own firm, through which he manages $237 million, and Waterford Capital, a Dallas-based broker-dealer. 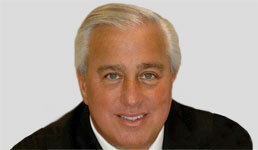 Butowsky has previously fought allegations related to his financial-advice business. In 2004, a Morgan Stanley customer of Butowsky’s complained her portfolio should have contained fixed income investments, according to the advisor’s Finra records. A Finra arbitrator held Butowsky and Morgan Stanley “jointly and severally liable” for $375,000, but it seems only Morgan Stanley paid up. Is the stock rally eclipsing market risk?